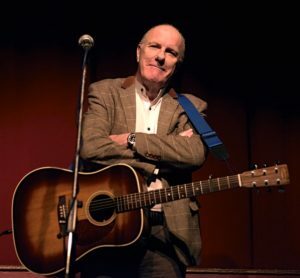 RICHARD DIGANCE composed the audio book music for Bill Bryson’s best-seller ‘The Road To Little Dribbling,’ His Animal Alphabet poems, serialised by The BBC, are used as English Teaching Aids, in 14 countries from The USA to Swaziland,his guitar instrumentals are used on numerous TV productions. He supported Robin Williams at The London Palladium, and supported Steve Martin in The USA. On TV he played guitar with Queen’s Brian May, Status Quo and The Moody Blues. Yes, after 50 years, performing is still what he loves. There will be a limited bar.